Chimera served as my final project to graduate with my Bachelors in Graphic Design and Illustration. 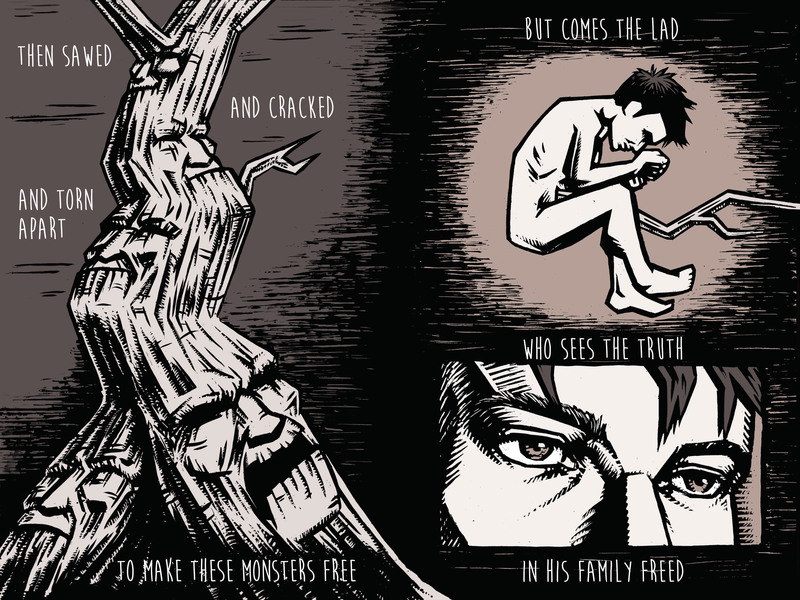 It is a collaborative project in which I took short stories from a variety of authors and poets and converted them into comic books. It was intended to get me illustrating within a client relationship as well as work to expand my illustrative style. 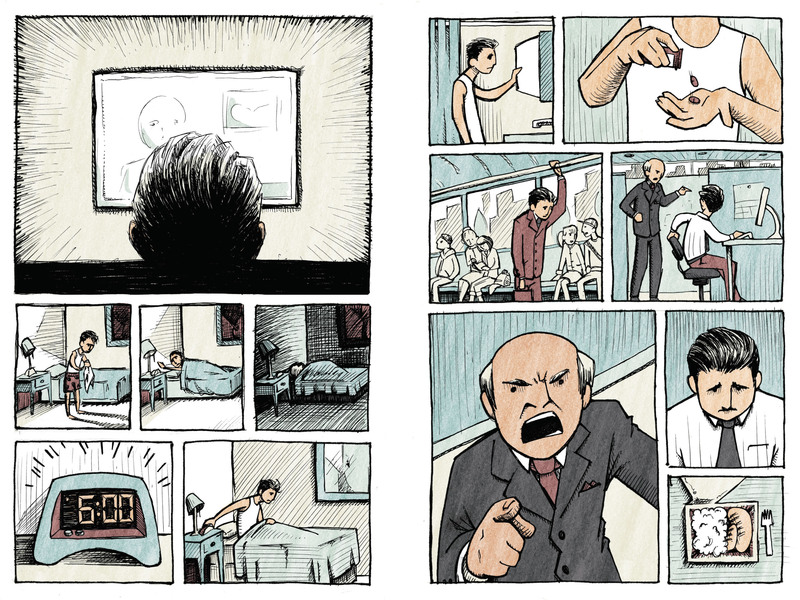 While each story was created with the use of ink and digital color, each was illustrated in a different way, with different tools, to best represent the voice of each story. 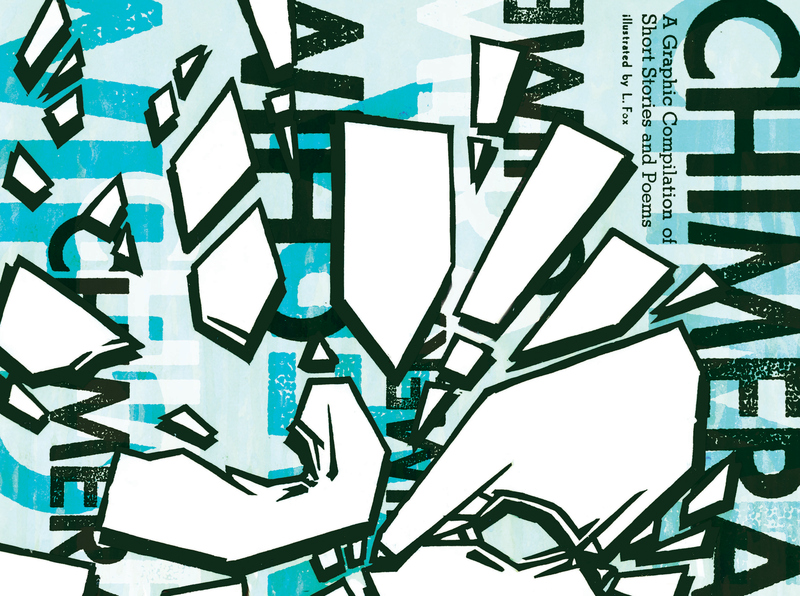 Cover jacket design created with linocut printing, letterpress, water color, and digital adjustments. 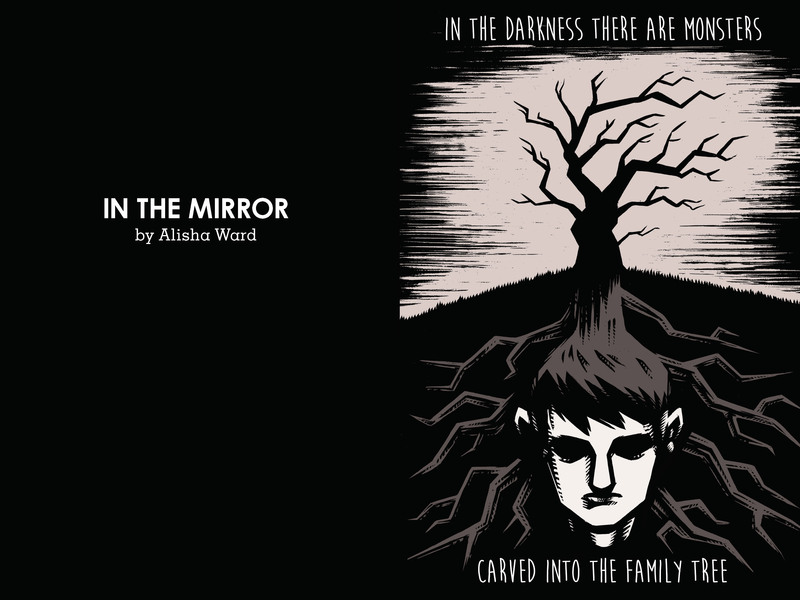 "In The Mirror" is a poem written by Alisha Ward. 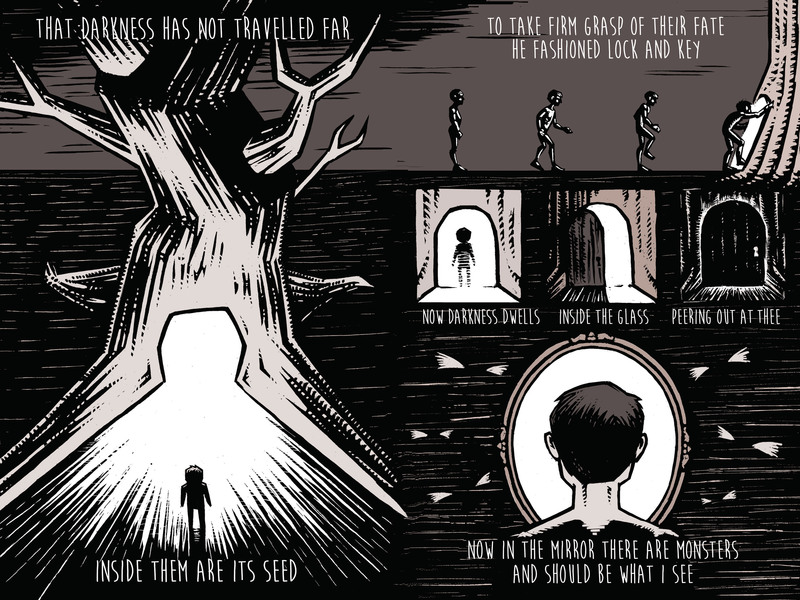 It was illustrated using scratch board and digital color to imitate woodcut. 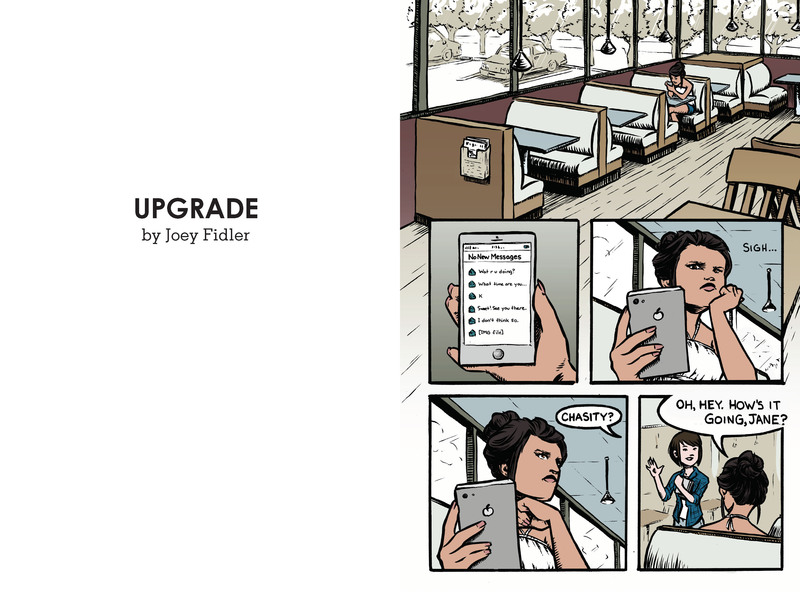 This is an excerpt from "Upgrade," a screenplay written by Joey Fidler. 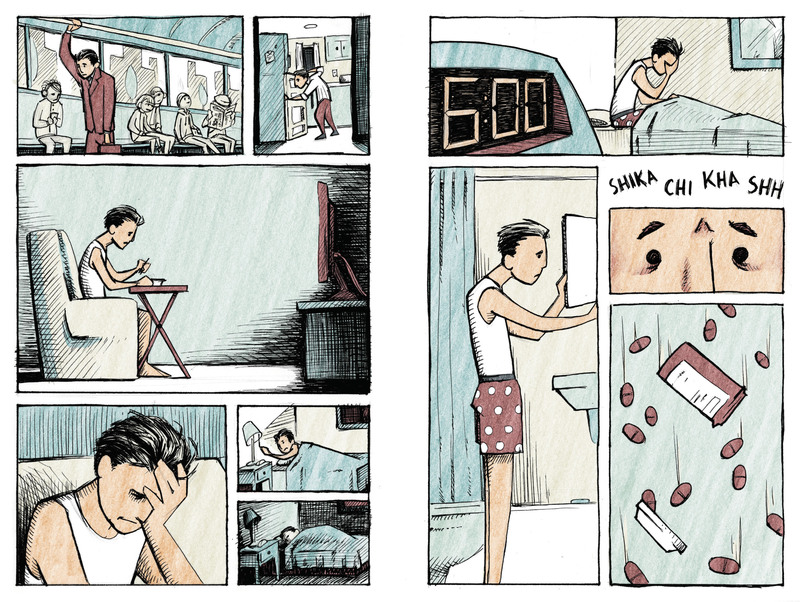 It best represents my most natural style and was illustrated with ink brush and digital color. 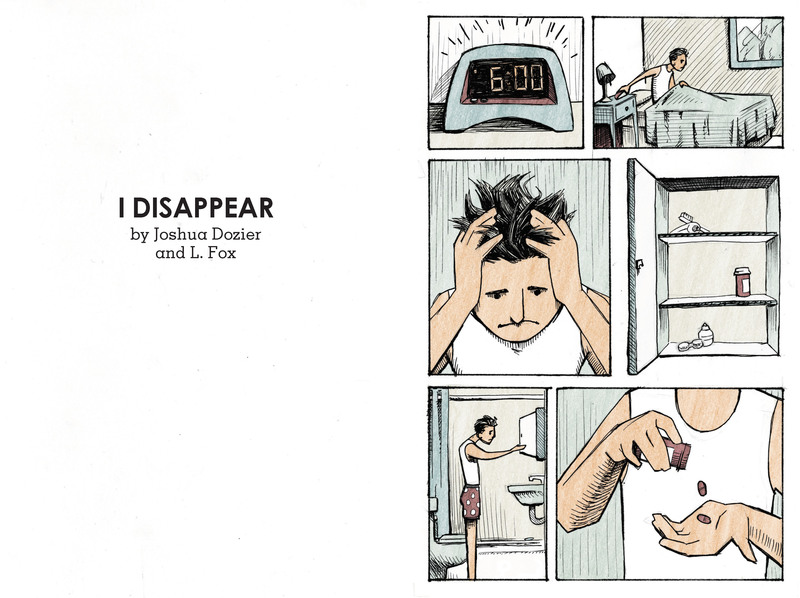 "I Disappear" is a story concept developed by Joshua Dozier and myself. It was illustrated using technical pens, digital color, and pencil texture overlay. 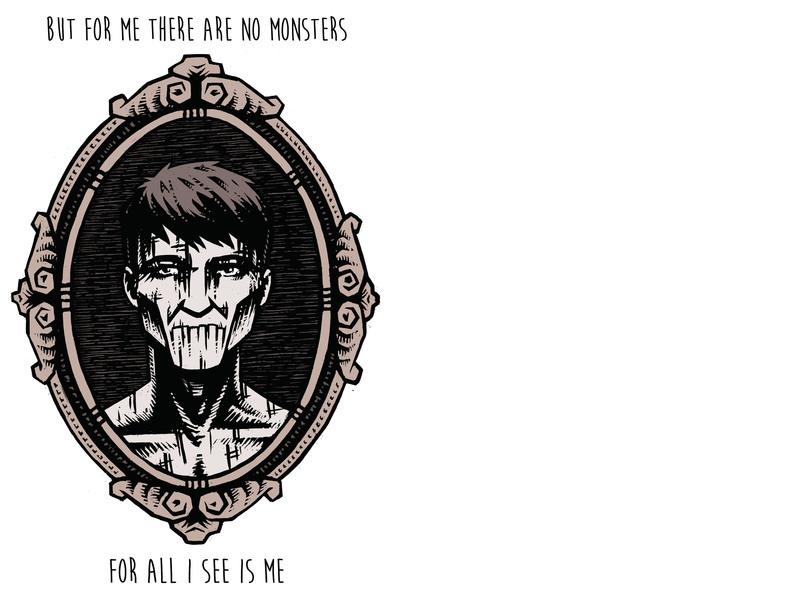 Throughout the story, the saturation and messiness of the line work increases to mirror the character slowly slipping into madness. 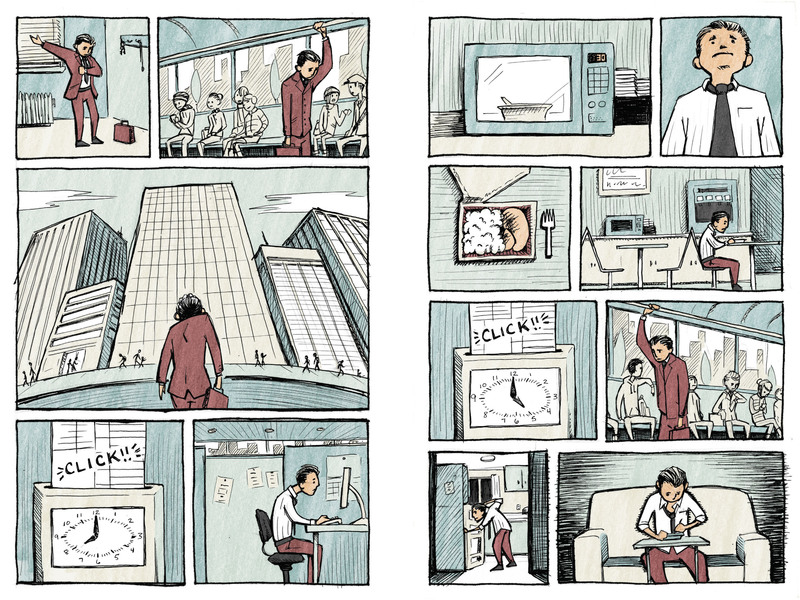 The full comic book is available for purchase through Amazon and Blurb.